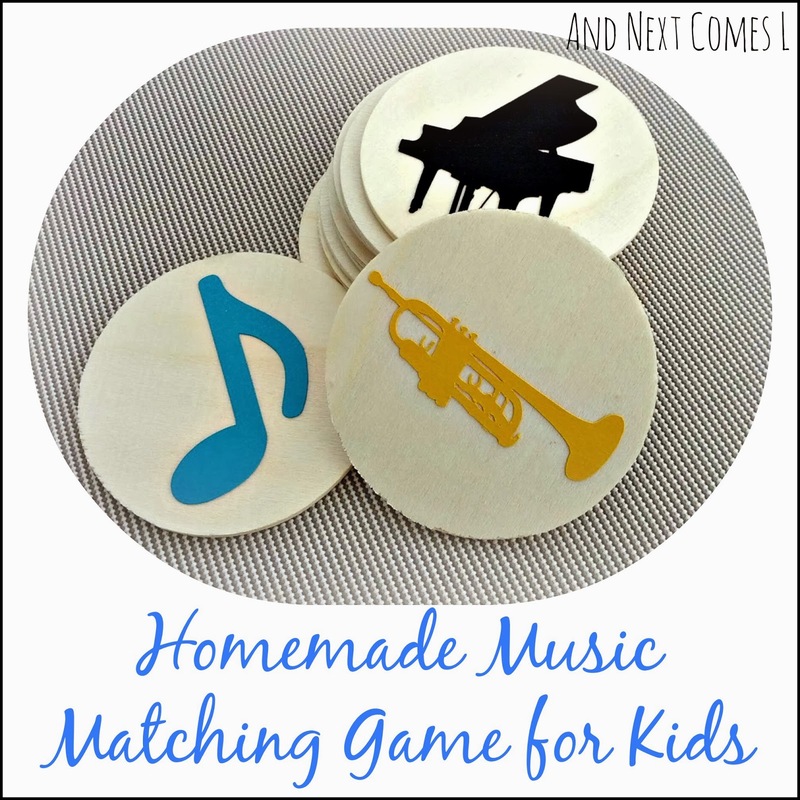 This homemade music matching game is a perfect way to introduce your child to different musical instruments and/or music symbols. It is also super easy to make! 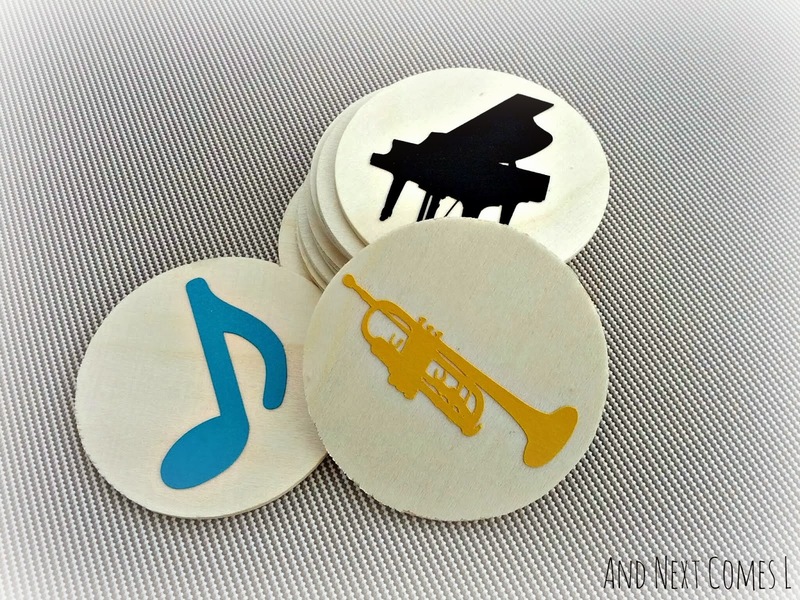 To make mine, I used 3" wood circles that I found at Michael's. 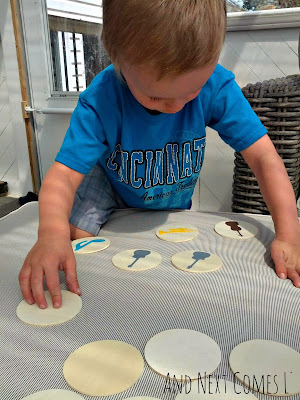 I chose large circles since K still likes to put shove small objects completely into his mouth. 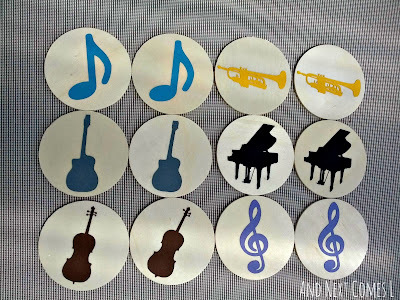 I cut out music shapes out of cardstock using my Silhouette Cameo, but you could either paint your own symbols with acrylic paint or buy a set of music stickers. 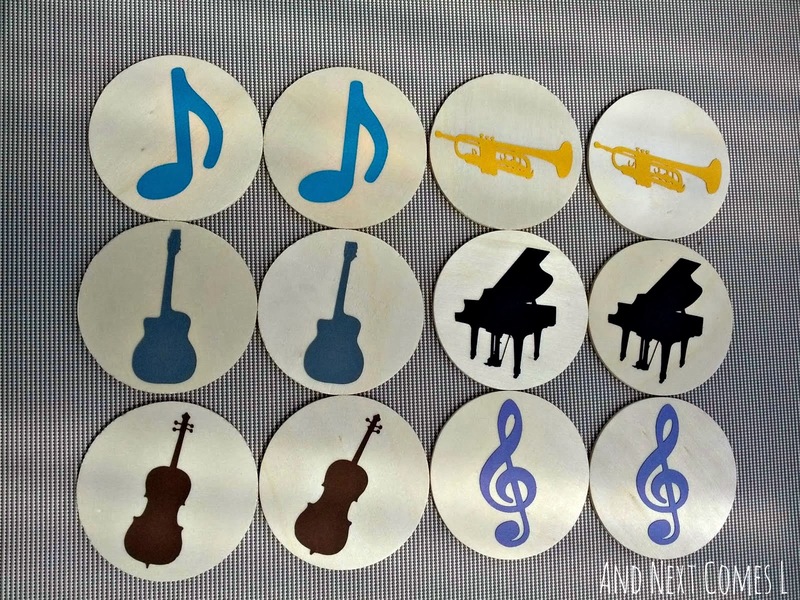 Since I used card stock, I was able to make my music matching game self-correcting since each pair has its own color. The symbols and instruments that I used were a music note, a trumpet, an electric guitar, a grand piano, a cello, and a treble clef. And here's J playing the game. 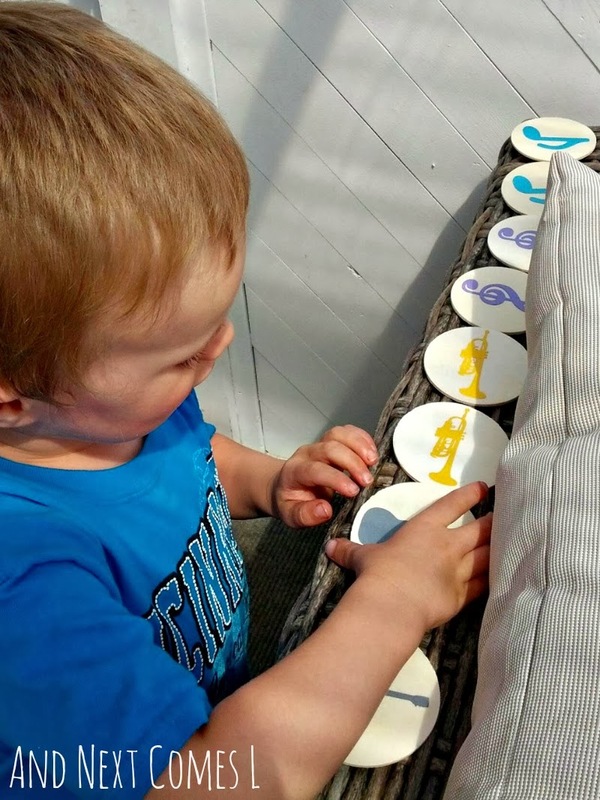 Then J had to organize them, make lines, form letters with them, and, of course, tell me what was on each circle. I just stumbled across your blog.... You have such great ideas on here. 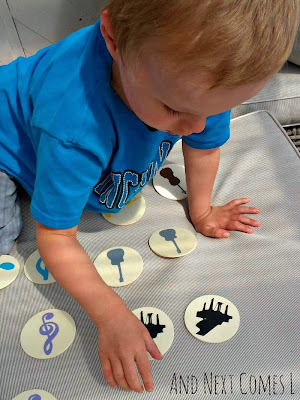 I didn't think teaching my two-year-old music and piano at this age would be realistic, yet she wants to sit on my lap and likes to point out musical instruments wherever we see them, so I thought I would look on the internet to see what's out there. There are lots of great ways to introduce music to toddlers! So it is definitely realistic. Teaching them piano, however, might not be realistic until she develops her fine motor skills. But you can certainly build towards it by encouraging a love for music, playing simple games, playing instruments, etc. My 3 year old class was able to begin piano by learning C, D and E on the piano. It's a start!